There have been a few occasions when I have edited envelope amounts for people. I figured rather than me doing it, why not just everyone more power to make the software do what they want it to do. 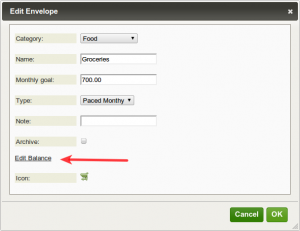 I don’t want you cheating on your budget… but if you ever need to manually adjust an envelope amount, you can do it now. 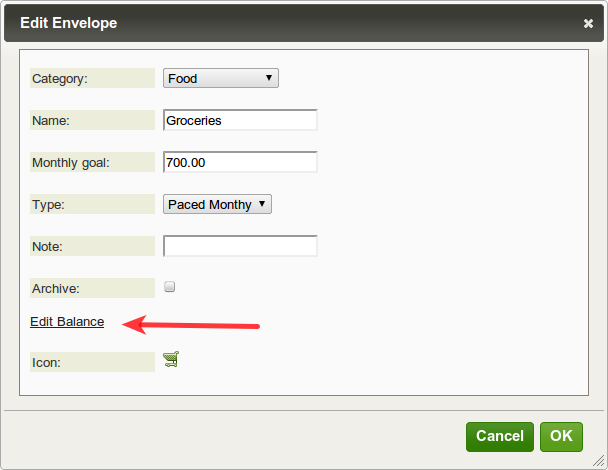 In the budget view, click on an envelope to highlight it. Set your new balance amount. Hit Enter or click OK to save.